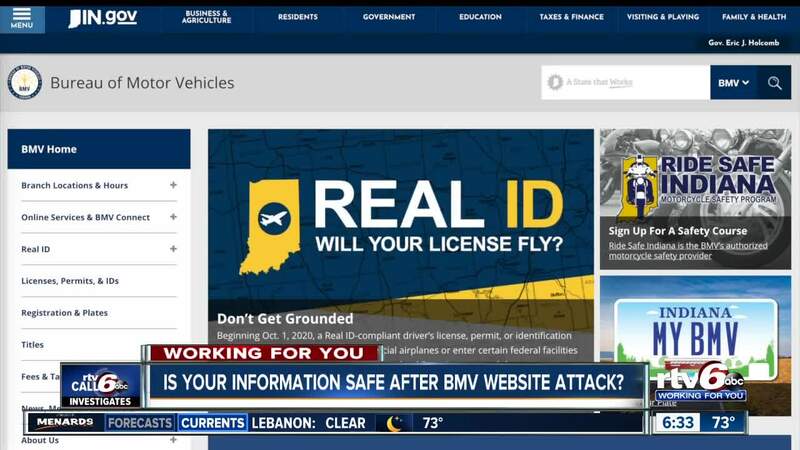 INDIANAPOLIS -- The BMV stores all kinds of personal information -- like your social security number, the information on your driver's license and more. 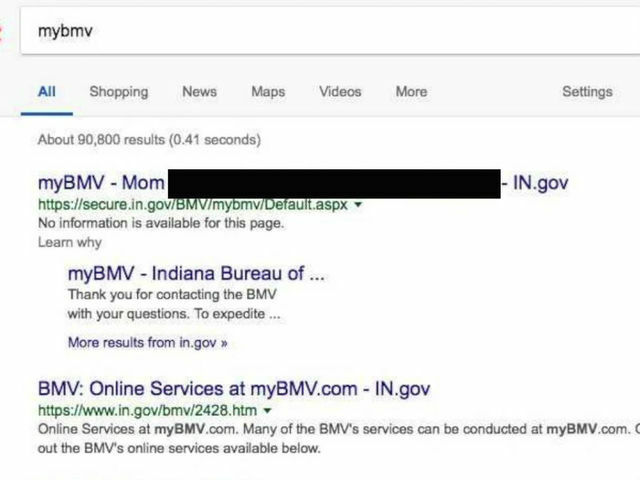 So for anybody who tried to get to the website last week by searching "mybmv" on Google, you may have seen profane language in the link on the search results. The website appeared to be hacked. The state's IT department said it was because of a coordinated search engine optimization attack on the BMV's website. 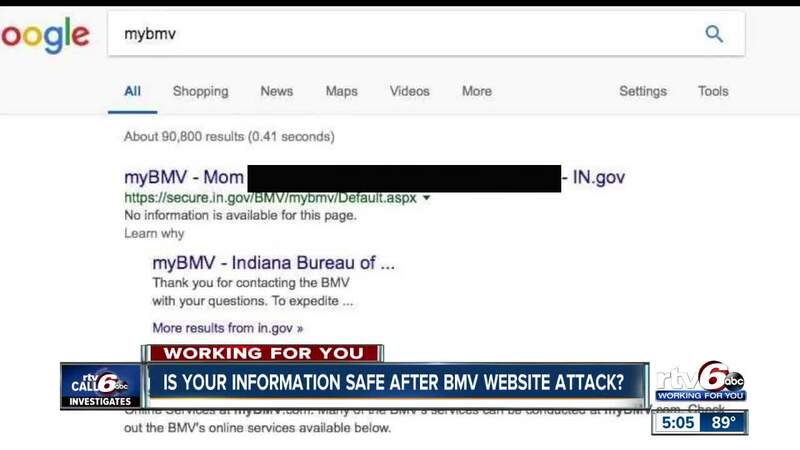 The state says somebody created a webpage that looked like the BMV page and added an inappropriate title, then used the attack to make the fake page show up at the top of the search results. Tom Gorup, the director of security operations at local IT firm Rook Security, said it isn't a new attack. "This is an attack that's been around for a while," he said. "We've seen historically on other sites, probably upwards of three or five years ago. It's been around for a while. ... It's not an extremely difficult thing to do." The state's IT office said no Indiana web pages were affected or compromised, so your data is safe.